Does your mail box look like this? When I realised my 82 year-old Mom had lost her home mail delivery in Churchill Park, I thought there must also be people who need this vital service in their neighbourhood. Despite a change in politics, community mail boxes remain in service. 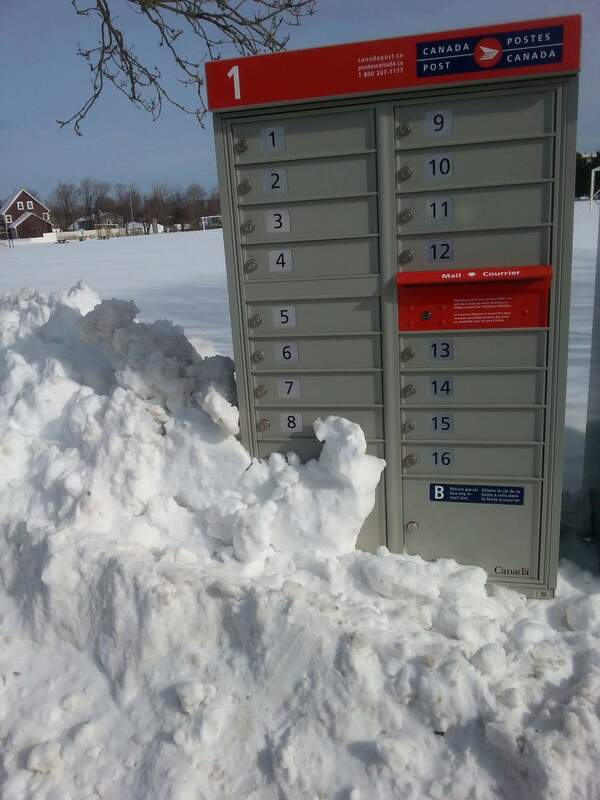 For a small fee of $4.50 per collection, I will go to your new Canada Post mailbox, collect and deliver your mail to your residence or business. Monday, Tuesday, Wednesday, Thursday or Friday afternoons, which delivery schedule is better for you? You choose. Mom will have her home mail delivery service, and so will you!